Set yourself apart as a residential Green building leader. Our unique on-demand course will bring you up to speed on the basics of green building science through just in time education compiled from the best in class professional and resources. You will gain foundational knowledge of what it takes to build, remodel and rehab residential living spaces so that they are better. There are 3 sections of the course listed below. Each section can be taken in the order that your prefer. 6. Reducing Occupant Exposure to EMFs in Residential Construction (Intro only). 7. Comparing Residential Green Building Certifications – 5 part series. Choose 3 courses listed on our on demand section. Residential single-family and multifamily remodelers, new home builders, designers, architects, raters, plumbers, HVAC, electricians, home inspectors, realtors, renewable energy experts, educators, and contractors. Those looking to be Home Energy Score Assessors should also take this course first. $100.00 but there are discounts for members, veterans and those transition from the nuclear or fossil fuel industry. What CEUs can I earn for completion? How do i get to the professional level? No, all quizzes are open-book and are given after each model/chapter is completed. You will be able to review the exams ahead of time so you know what you need to study. 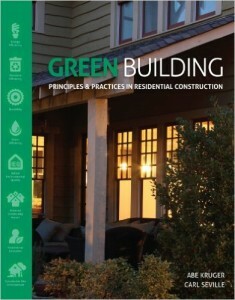 The goal is to ensure you know what and where to find information on green building topics when you need it. We are not looking to make anyone cram for a final exam! You must maintain 10 hours every year. Five (5) of the ten (10) required hours must be from relevant GreenHome course education & articles. Self-reporting is done online within your dropbox created folder. Accepted courses from other credential bodies include but is not limited to, AIA (HSW), LEED H (GBCI), PHIUS, RESNET, BPI, NARI Green, NGBS, and AIBD. Submit other courses as well. There will be a formal course review process coming soon! Volunteering on GHI board, on a GHI committee, for GHI events, local GHI chapter, etc. Complete the above requirements for the associates as well as certify a residential project every 2 years or register 1 every 1 year. You will have an online account set up with GHI to submit your hours. Basic understanding of residential building science. 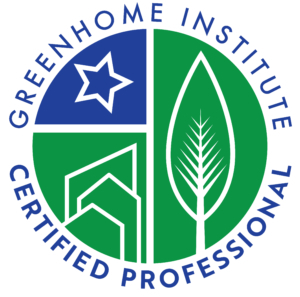 After completing our courses and receiving your certification you will be listed on our GreenHome Professionals directory page. On this page we include a bio about yourself, along with links to your website or Linkedin. There are always opportunities for CEU’s. The GreenStar program will reward points to those who are GreenHome Associates & Professionals and are involved in projects at any capacity besides being a rater. * Fees do not include the cost of the book or other credentials. If other above - What is it? Don't select this if you are a member!